Amid the upscale setting of South Forbes, our no-frills accommodation in Sta. Rosa, Laguna is a delightful temporary abode while you’re in town. 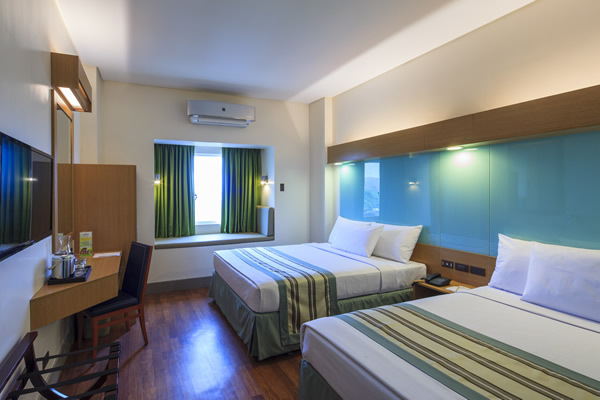 Each room is designed to emanate a soothing ambience with the calming lights and cozy furniture. 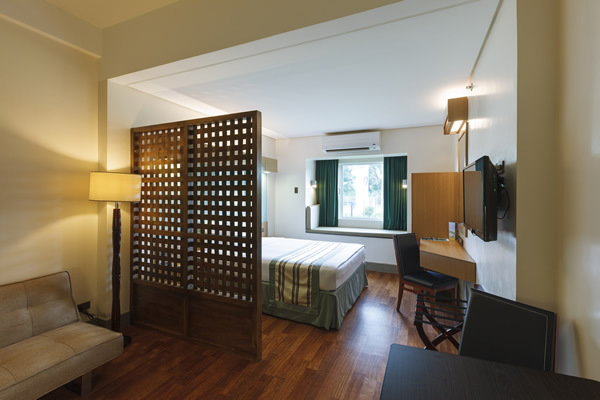 There’s a fusion of practical and luxurious conveniences inside our hotel in Sta. Rosa, Laguna. Some of the features include individually controlled air-conditioning system, private toilet and shower with hot and cold water, TV with cable channels, IDD & NDD phone, and high-speed LAN/ Wi-Fi Internet access. The chiropractic-approved mattresses on each of our queen-sized beds induce more comfort and relaxation. There’s a gorgeous view of the Laguna Lake and the rolling countryside from inside our accommodation in Sta. Rosa, Laguna — a relaxing view after a day of visiting nearby attractions.